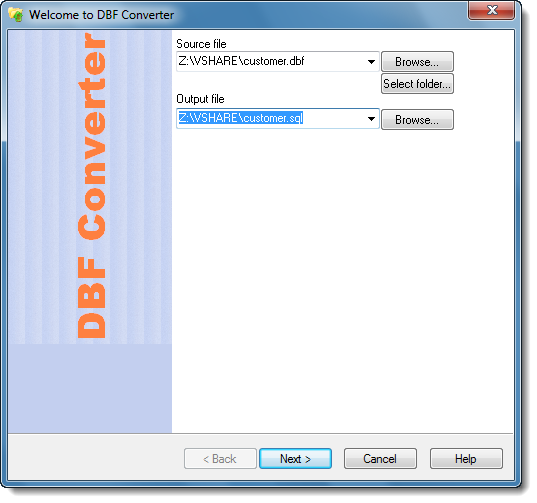 DBF Converter allows you convert a single dbf file or folder with dbf files to SQL script (MySQL, SQL Server, Oracle) from GUI or command line. 1. 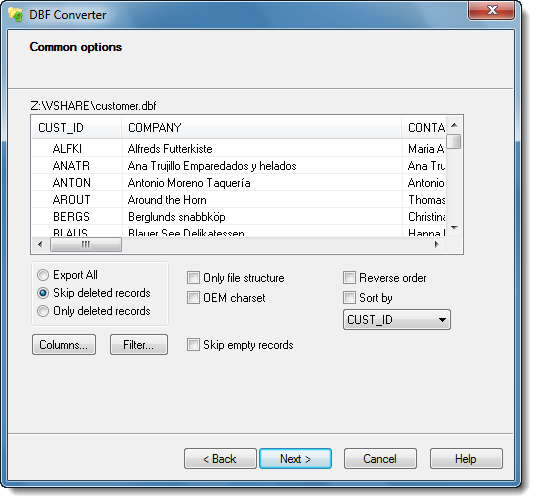 Select the dbf file (or select folder for batch conversion). 2. Select the output sql file. You can also select/unselect columns, set order for columns. 4. 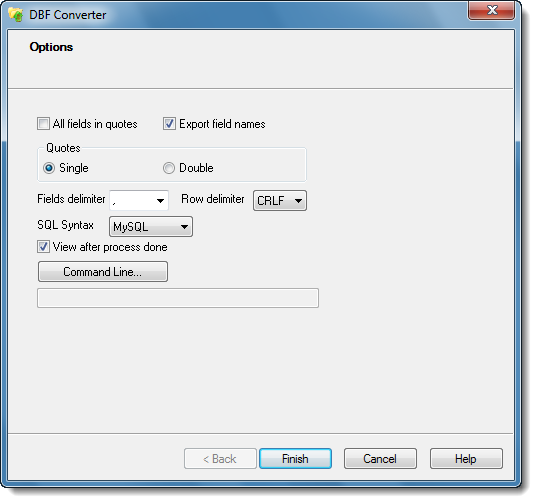 Select options for sql format: SQL Syntax (MS SQL, Oracle, MySQL, PostgreSQL), rows delimiter (if necessary), and click "Finish"